Since her accompaniment of Kate Wolf first earned her recognition, Nina Gerber's acute skills as performer, producer and arranger have continued to deepen. 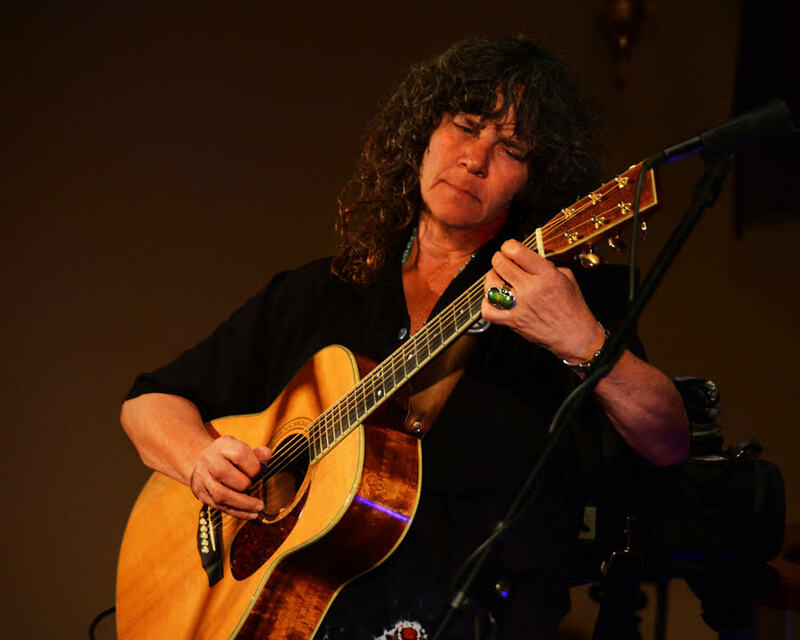 Her contributions to acoustic music have earned her a following as loyal as for the numerous high talents she has accompanied - proving the shadows equal to the spotlight in the creation of honest, powerful, and beautiful music. Nina has a unique ability to completely free herself within an eclectic range of styles. Presented with folk, country, bluegrass, rock, or blues, she is able to fall into leads which have rare reverence for the true feeling of a song, always emphasizing taste over technical display. She seeks to express through her hands, rather than gain attention, and it is this integrity which makes her expressions worth intent listening.